Think of it as a special edition made with ecological ethics in mind, Fjällräven reinvents the signature Kånken backpack with recycled plastic and SpinDye technology to reduce energy and resource waste. The Re-Kånken maintains the familiar form and functionalities, through multiple compartments and adjustable straps to accommodate your everyday use. 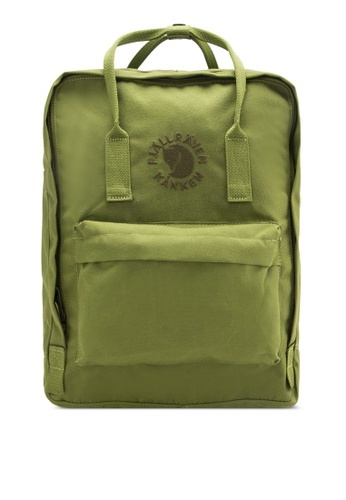 Can't find Spring Green Re-Kanken Backpack in your size?